Summer’s not even here yet, but things are heating up with April’s Burger of the Month — the Kilauea Fire Burger! Madame Pele can’t take credit for this one. 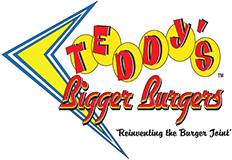 This delicious spicy burger is hot off the Teddy’s Bigger Burgers grill. It’s topped with bacon, cheddar cheese and, of course, Kilauea Fire barbeque sauce…. giving it just the right amount of heat. Onion rings round out your meal. Forget the April showers! You can cool off with a Strawberry- Pineapple shake. It’s a masterful blend of island flavors that makes the perfect complement to your fiery burger. Visit one of our six Hawaii locations and enjoy the Kilauea Fire Burger, all month long rain or shine!